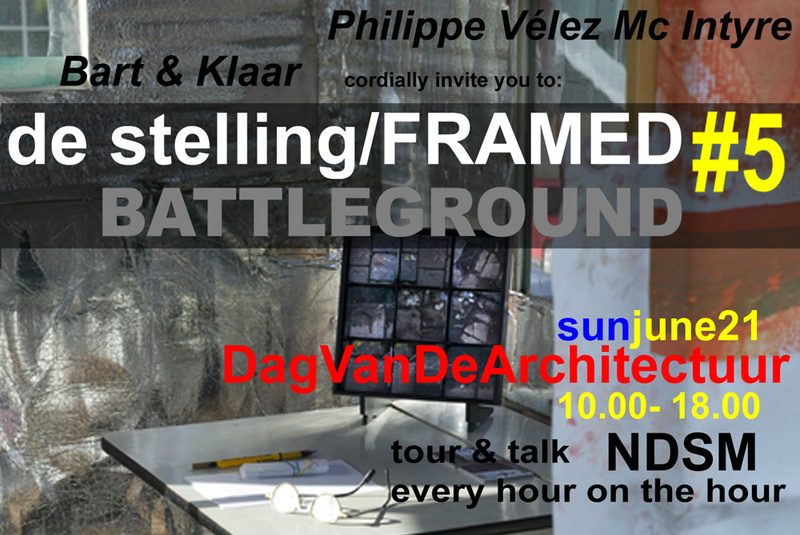 coming sunday we will host an afternoon of Tour and Talk on the topic of NDSM #5 Battleground. come and participate: location is our studio in X Helling. 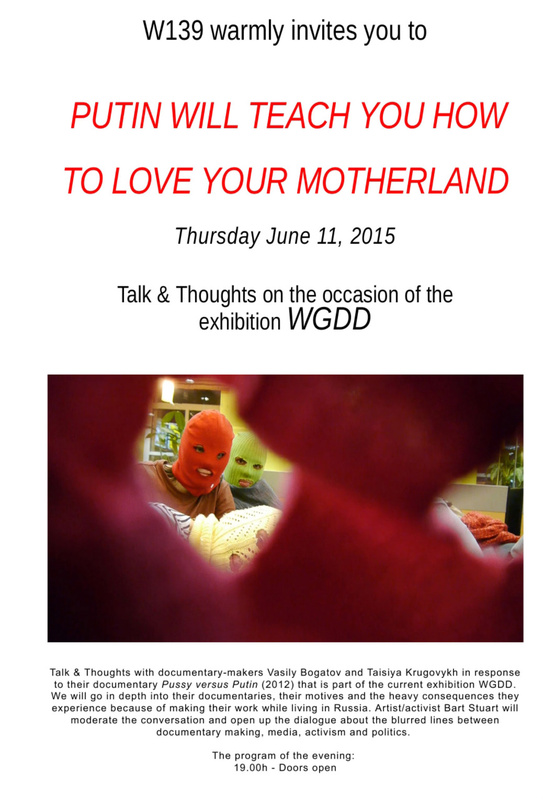 "Putin will teach you how to love your motherland"
coming thursday iĺl host a dialogue about activism and art. First Lima, Now Moengo and then perhaps Lima again. We will work again from Latin America on a new project. 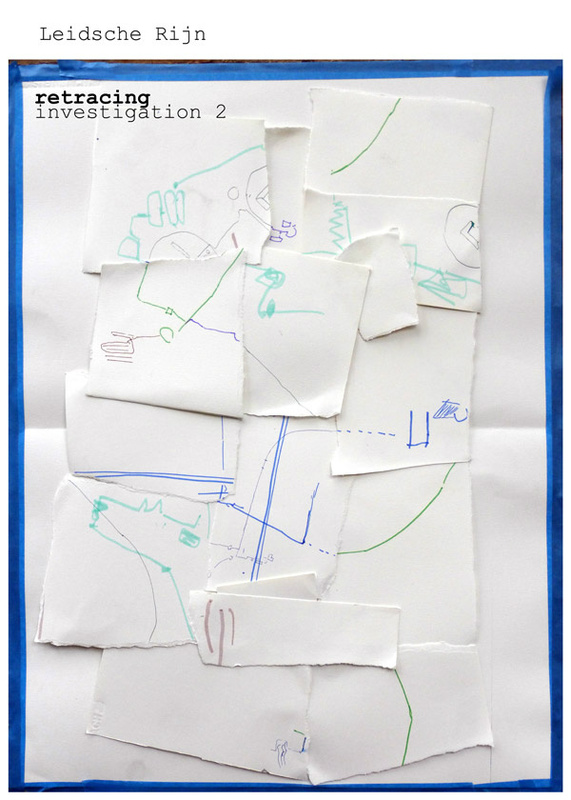 We applied for a new residency at the Mondrian Fund for a new project in a diffrent region in South America. They granted us a new opportunity. We are going to work in Suriname and are going to look into traditional and contemporary Marron culture and how it survives in the city and country side. In december we have been to Suriname to meet up with artist Marcel Pinas. He has initiated TAS (http://www.tembeartstudio.com) and a sculpturepark in Moengo. International artist are invited (with support by the Mondrian Fund) to live in Moengo, to visit indigenous villages and learn from the people/ work together with youth and to contribute a work of art to the park which is the public space of the town of Moengo. 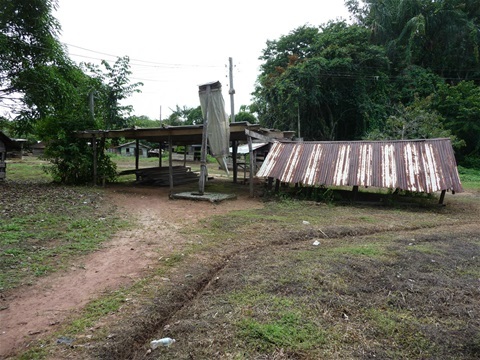 Our one week visit in the middle of december was also our first visit and introduction to Suriname, to meet mister Pinas, to explore the area, to meet the inhabitants and talk about the current topics. It was a very good and intensive/ condensed week. The land is absolutely beautiful and the people are very friendly. We are very excited about the possibilities and will share our steps/ thoughts/ developments again with you. We are very thankfull to the Mondrian Fund and mister Pinas for creating this opportunity. Our studio is located on a former shipyard. The place has become very well known in Amsterdam for its qualities as a freezone. So popular thaat some years ago the official development has begun. The so called gentrificvation process. We are now in the last years of freedom and try to use them the best we can. See the link below.